Located among the vineyards of the Rhône Valley in the Ardèche department of France, TRIGANO VDL designs caravans and motorhomes sold under the Caravelair, Sterckeman, Challenger and Chausson brands. 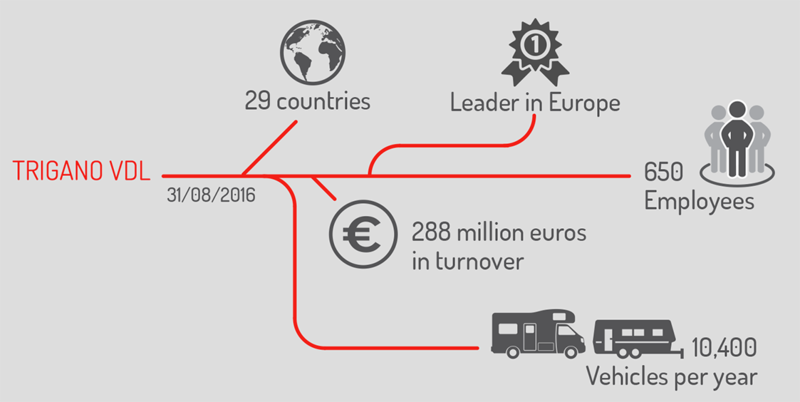 Turning out more than 10,000 vehicles each year, TRIGANO VDL is the largest production unit in Europe. TRIGANO VDL participates in the Ardèche branch of VILESTA,a group of industrial and tourism vehicle manufacturers that was recently created through an initiative of the industry’s general assembly. TRIGANO VDL is a subsidiary of the TRIGANO Group.